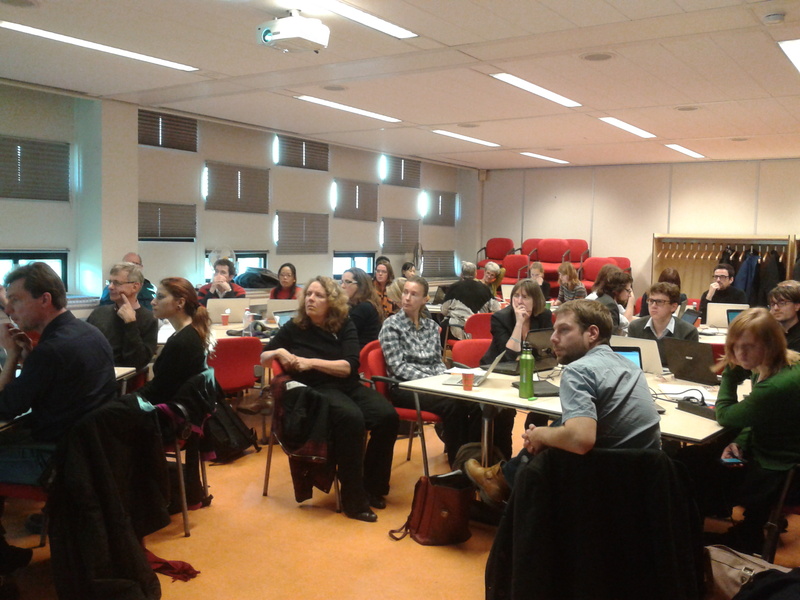 Last week, on the afternoon of November 22, I co-organized a tutorial about Linked Data aimed at researchers from digital humanities. The objective was to give a basic introduction to the core principles and to do that in a very hands-on setting, so that everyone can get a concrete experience with publishing Linked Data. To prepare this event, I teamed up with Clement Levallois (@seinecle) from the Erasmus University in Rotterdama. He is an historian of science with interests in network analysis, text processing and other compartments of the digital humanities. He had only heard of Linked Data and was eager to learn more about it. We started of by preparing together a presentation skeleton and the setup for the hands-on. During this he was shouting every time I was using a word he deemed too complex (“dereferencing”, “ontology”, “URI”, “reasoning”, …). In the end, “vocabulary” and “resource” are most probably the two most technical concepts that made it through. Then I took care of writing the slides, and he simplified them again before the tutorial. It is also him that presented them, I was just standing on the side all time. The result: a researcher from digital humanities explaining to a full room of fellow researchers what Linked Data is and how it can be useful to them. Everyone was very interested & managed to annotate some HTML pages with RDFa, thereby creating a social network of foaf:knows relations among the individuals they described 🙂 We concluded the tutorial by plotting that network using a tool that Clement developed.